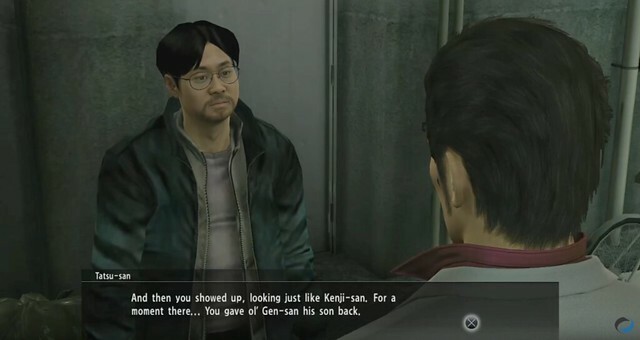 The Dragon of Dojima has affected many lives over the course of the Yakuza Series. Three new live-action shorts revisit just a few of them. For longtime fans of the Yakuza series, Kazuma Kiryu has always represented justice and strength. He’s a good man who never says no to those in need and his willingness to take decisive action brings out the dragon in all of us. It’s ironic that a man like this would come from a criminal organization – but that, of course, reminds us of the goodness in people. 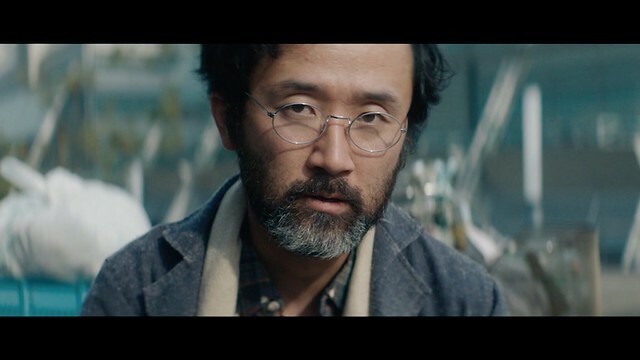 To celebrate the release of Yakuza 6: The Song of Life, we partnered with Liquid Advertising’s creative team and director Christopher Ewing to explore the legend of the Dragon of Dojima from an unexpected point of view – through the eyes of a few memorable characters who had small but important parts to play in Kiryu’s adventures over the course of the series. Fans will remember Tatsu, Yuina, and Haruka from the substories “Prodigal Son,” (Yakuza Kiwami), “The Bouncer” (Yakuza Kiwami), and “Another Haruka” (Yakuza 5). In this series, we catch up with each of these characters as they remember the time they crossed paths with the Dragon, who not only put himself in harm’s way to save them from danger, but also demonstrated a generosity and resolve that changed their lives for years to come. But what happened to them after their encounters with Kiryu? That is what these shorts aim to answer. Tatsu pieces together tattered memories while wandering the streets of the business district he calls home. Yuina, a respected club owner, deals with an unruly customer as she recalls the time she met Kiryu. Haruka takes us back in time through the streets and playgrounds of the neighborhood she grew up in. To create an authentic sense of place, we filmed each of their stories on location in Japan, capturing the unique light, grit, and beauty of the world that has captivated fans of the series for over a decade. Together, these recollections give us a new look at the legend of Kazuma Kiryu, as those who live in his world see him – a kind and strong protector who will always answer a cry for help. This is hands down my personal favorite game that delivers with great character interaction and story with combat to match as well as bizarre fun things to do within game. I am also glad to see that the previous games are getting remastered hearing this news has made my year!!!!!! I bought Yakuza 6 twice and I know it’ll be worth every penny. Cannot wait for my After Hours edition to come in. Jacob, thanks for the update! The PS4 is my first Sony game console, so I just started playing the Yakuza series for the first time with Yakuza Kiwami. It’s exactly the kind of game I like. A strong, central story will a lot of additional quests & activities on the side. Jacob, if you and your company see the popularity of this series rising, please re-consider bringing Yakuza Ishin to the West as well. As far as the main series goes, you can keep it going with a new character and/or new location. Keep up the awesome work!! Jacob, one more thing: these video shorts bring a new level of realism and depth to the games. I’m hoping sales for Yakuza 6 rise in response to this type of advertising. I, for one, think it’s a great idea. Thanks again for your work! I have been playing Yakuza since PS2 days. It has always had a special place in my heart. I am so happy to see this effort going into this game in the west as well. Thank you and I hope to continue to see more Yakuza games in the future. I absolutely cannot wait to play Yakuza 6 !!!! Haha oh it is from that part of the story. I was trying to remember if it was 5 or not.